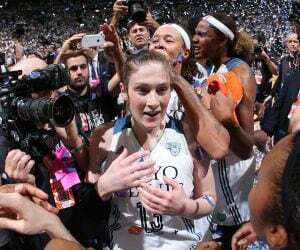 For the seventh straight season, the Minnesota Lynx will be playing in the WNBA postseason. The top-seeded Lynx gear up to begin another playoff run on Tuesday when they host the first game of semifinal round of the 2017 WNBA Playoffs Presented by Verizon. Minnesota enters the season having finished the regular season strong, tallying a record of 27-7 overall, including winning six of the last eight games. The Lynx also earned the No. 1 overall seed in the playoffs for the second straight season, meaning they will get homecourt advantage throughout the playoffs. “I like our regular season. I thought we had enough challenges, enough tests and enough hard times, but more good times where we saw what we know we can do. More than anything, finishing the regular season No. 1, accomplishing that first goal to give us momentum going into the playoffs,” Maya Moore said. “Now that that’s over, it doesn’t mean anything because we are going win against our first opponent because of the regular season. The first opponent on the journey that is the playoffs will be the sixth-seeded Washington Mystics. 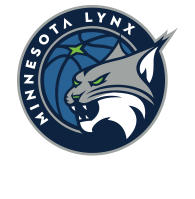 Game 1 between the Lynx and Mystics will be at 7 p.m. Tuesday night at Williams Arena. That game will be aired on ESPN2, 106.1 BOB FM and TuneIn Radio. It’s playoff time, Lynx fans. And Minnesota is gearing up for another deep postseason run once again in 2017. As you know by now, the Lynx will be playing all postseason home games at Williams Arena on the campus of the University of Minnesota. Minnesota will play at least two games in Minneapolis, with the potential of playing up to six games at Williams Arena, which would include three games in the semifinals and three games in the WNBA Finals. 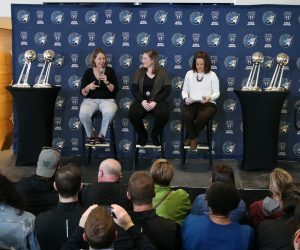 Due to ongoing renovations at Target Center, the Lynx are heading over to Williams Arena after spending the regular season at Xcel Energy Center in St. Paul. 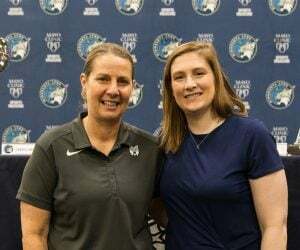 The games at Williams Arena will also consist of Whalen returning to her alma mater for the first time since sporting the maroon and gold Gophers jersey from 2000 to 2004. “I’m excited for everyone that hasn’t gotten a chance to play there to experience what it will be like to play in that arena and in that environment in a playoff-type situation. There’s really nothing quite like it,” Whalen said. “I’m more excited for everybody, more than anything. I’m excited for our fans. 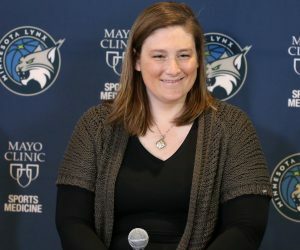 The Lynx practiced at the facility for the first time on Sunday and will do so again on Monday in preparation for Tuesday’s playoff game against the Mystics. Williams Arena may be the second home away from home for the season for the Lynx, but as long as their fans are there, they feel like they are at home wherever they go. “As long as we are in the state of Minnesota, we have homecourt advantage. It doesn’t matter where we have to play. We would have loved to play at the Target Center, but we all know the renovations are going on,” Augustus said. “Xcel Energy Center did a great job making that our home for the regular season and we had to make another move.